By 1300, university medical masters were introducing their students to a culturally distinctive reality. This reality was based on the twin pillars sustaining institutional medical knowledge: authority and a logical apparatus based on Aristotelian principles. Traditionally, attention has been paid to the relationship of the medical author with his classical authorities. This paper analyzes the strategies developed by the university medical master for establishing himself as an authority, which entailed treating his contemporaries as authorities as well. 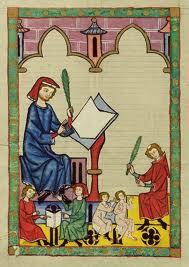 It is suggested that a tendency can be traced in the medical classroom from the 1340s onwards to turn attention away from the classical authors towards contemporary writers.